Petržalka is a complex urban mechanism, which has gone through an unpredictable evolution. 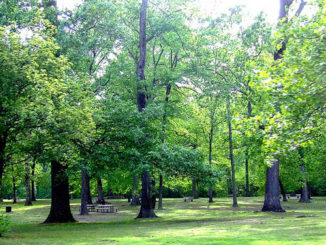 Its inhabitants form an active and responsible community, sensitive to any change. 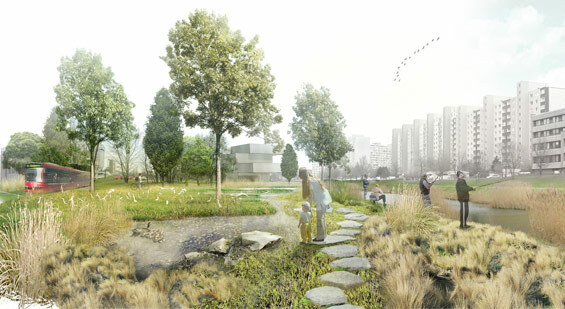 The city-wide redevelopment of infrastructure and introduction of a tram-train line running through the core of Petržalka presents an opportunity to integrate the existing green spaces into a defined natural urban park, expressing the informally developed character of Petržalka as a “green” quarter over the years. 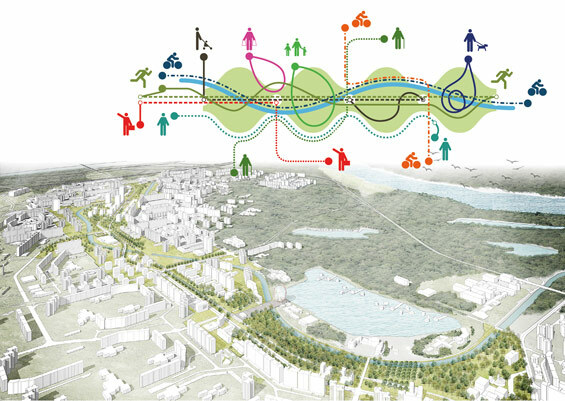 This phenomenon which organically evolved in time became our starting point for an uncompromised definition of a generous and continuous green corridor based on scenic experience as a main asset for local residents as well as visitors from all over Bratislava. We recognise this rare quality in an urban setting and present an uncompromised approach to truly sustainable development. 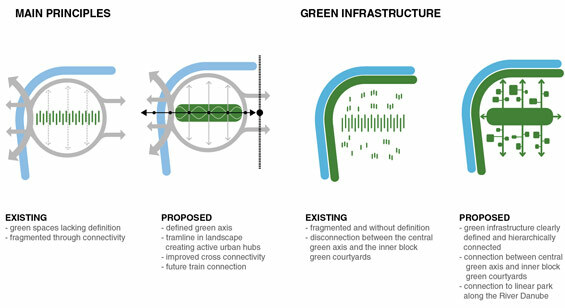 Our proposal sets a roadmap enabling change through gradual and systematic physical transformation of the central urban axis into a green spine anchored around the new tramline. 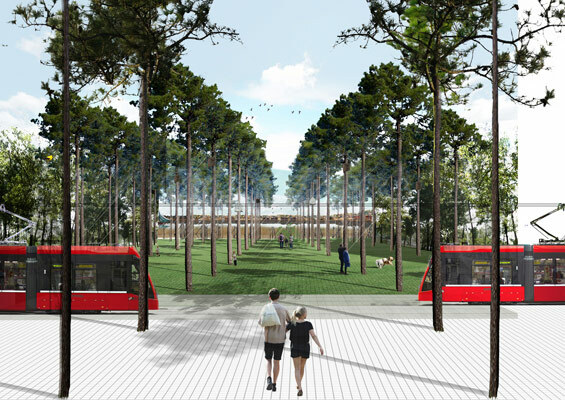 The new tram stops will naturally become social exchange hubs and areas where services can be provided. 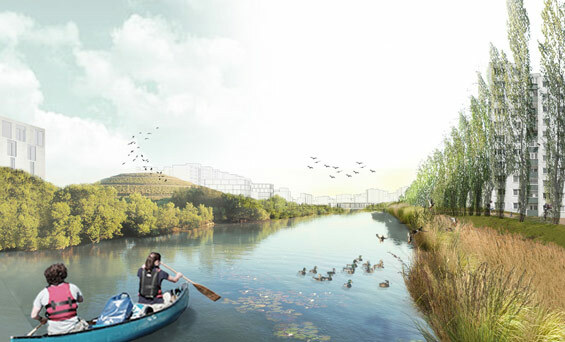 Around these hubs, supporting the natural character zones of each area along the central spine will enable a continuous landscape narrative to evolve. 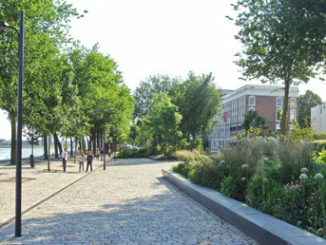 The animated nature of this new placemaking infrastructure will enable different future models for development. • Creation of scenic spaces with differentiated character. Definition of the park and incorporation of Chorvátsky stream to form a meandering movement along the axis. 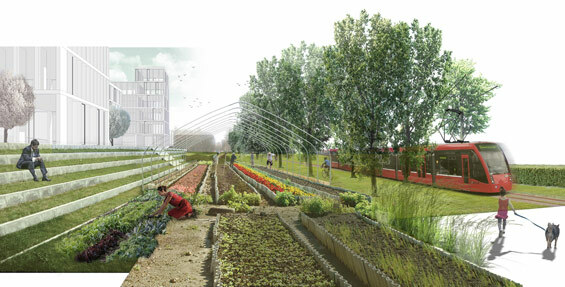 Spatial hierarchy and integration with surrounding green infrastructure. Programmatic activation and re-valuation of the area. 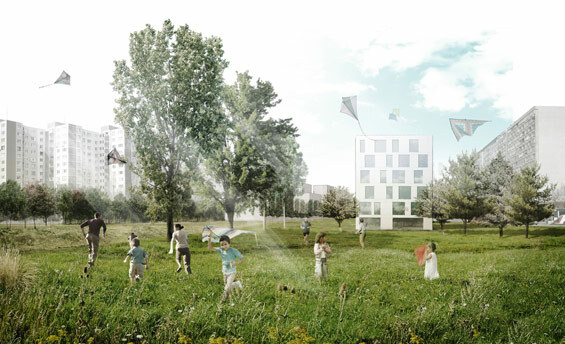 • Evaluation of new development set out in the local area plan and proposal for complementary development and its integration within the hierarchy of green infrastructure. Creation of green “rooms” and “membranes”. • Reduction and optimisation of vehicular infrastructure along the axis and cross linking of roads to the bypass road. • Effective use of existing public transport network linking the area and its integration with the proposed train-tram line.